Consistent with our mission to prioritize clinical convenience, practicality, and effectiveness, there were numerous considerations incorporated into the design of our product lines. From the packaging it is stored in, to the shape it is configured in, it all relates to optimizing its suitability for use and potential for clinical benefit. But, FIRST AND FOREMOST, our products were developed with design requirements for safety, and products provided are verified to satisfy these requirements. What sets Seed Biotech apart is our Process. We use precise methods to get measurable results and thereby create better biologic products. We have shown a greater than 95% reduction in DNA using our proprietary decellularization process. Under the guidance of clinical and industry experienced experts, Seed Biotech’s core competency is based on a novel decellularization and stabilization process which is conducted in a quality by design facility with advanced operational support systems. Seed Biotech is uniquely able to optimally prepare highly variable biological materials through a dynamic purification process that depletes biomaterials of cells and cellular contents without imparting unintentional alterations to the extracellular matrix comprised of soluble and non-soluble bioactive constituents. It is this technology that uniquely positions Seed Biotech as an industry leader in innovation and a manufacturer of high quality products. There is an inherent time delay between the first presentation and point in time when a communicable disease is regarded as a risk to the general population and when a state of national/global awareness of that communicable disease will exist. Donors could potentially carry communicable diseases even through currently required and exhaustive screening and testing, as such testing would be ineffective because it would not be done on the current disease. Seed Biotech’s decellularization process preserves the clinically relevant properties regarded to be related to the quality and effectiveness of the end products. The pursuit of knowledge regarding the mechanisms of action of tissue products was equally prioritized throughout both the process and product development. The process used to manufacture donated human placental tissue has been verified through studies to preserve the surface chemistry, architecture, composition, geometry, and organization of the extracellular matrix (ECM) of the material, ss well as the preservation of the ECM soluble constituents, but more importantly post-process preservation of the numerous critical properties of the ECM. Such properties are recognized to be critical to cell activity and tissue cascades 2,3,4,5,6,7,8. The ECM of connective tissues acts as a reservoir of bioactive peptides including TIMPS, growth factors, cytokines, and glycosaminoglycans and the basement membrane interface acts as a substrate that supports cellular adhesion, transplanar migration, and proliferation. Proper preparation and preservation of properties unique to neotenic tissues can be used for potential clinical benefit.3,8 Seed Biotech’s innovations are driven by a focus on improving clinical outcomes, specifically the reduction of secondary clinical symptoms common to surgical intervention, such as infection, loss of ROM due to fibrosis, and vascular tissue injury, while improving the quality of tissue regeneration. Seed Biotech further hopes to contribute by working with clinicians in bringing technologies to market to address clinical scenarios and conditions that currently remain very challenging. (1) Koob TJ, Rennert R, Zabek N, Massee M, Lim JJ, Temenoff JS, Li WW, Gurtner G. Biological properties of dehydrated human amnion/chorion composite graft: implications for chronic wound healing. Int Wound J. 2013 Oct;10(5):493-500. (2)Mutsaers SE, Bishop JE, McGrouther G, Laurent GJ. Mechanisms of tissue repair: from wound healing to fibrosis. Int J Biochem Cell Biol. 1997 Jan;29(1):5-17. (3)Badylak SF. 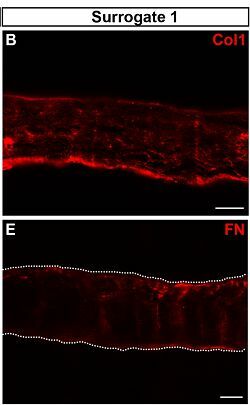 The extracellular matrix as a scaffold for tissue reconstruction. Semin Cell Dev Biol. 2002 Oct;13(5):377-83. (4)Chun BY, Kim HK, Shin JP. Dried human amniotic membrane does not alleviate inflammation and fibrosis in experimental strabismus surgery. J Ophthalmol. 2013;2013:369126. (5)Soo-Hyun Kim, Jeremy Turnbull, and Scott Guimond Extracellular matrix and cell signalling: the dynamic cooperation of integrin, proteoglycan and growth factor receptor J Endocrinol 209 139-151, doi: 10.1530/JOE-10-0377 First published online 9 February 2011. (6) Bhatia, Mohit, et al. "The mechanism of cell interaction and response on decellularized human amniotic membrane: implications in wound healing. "Wounds 19.8 (2007): 207-217. (7)Zhang T, Yam GH, Riau AK, Poh R, Allen JC, Peh GS, Beuerman RW, Tan DT, Mehta JS. The effect of amniotic membrane de-epithelialization method on its biological properties and ability to promote limbal epithelial cell culture. Invest Ophthalmol Vis Sci. 2013 Apr 30;54(4):3072-81. (8) Guo Q, Lu X, Xue Y, Zheng H, Zhao X, Zhao H. A new candidate substrate for cell-matrix adhesion study: the acellular human amniotic matrix. J Biomed Biotechnol. 2012;2012:306083. (13)Stephen Tottey, Scott A. Johnson, Peter M. Crapo, Janet E. Reing, Li Zhang, Hongbin Jiang, Christopher J. Medberry, Brandon Reines, Stephen F. Badylak The effect of source animal age upon extracellular matrix scaffold properties Biomaterials, Volume 32, Issue 1, January 2011, Pages 128-136.